With 41 of the Commonwealth’s 53 member states criminalising homosexuality, will David Cameron speak out for the LGBT community at the Sri Lanka summit? A report released by Kaleidoscope Trust has collated the experiences for lesbian, gay, bisexual, transgender and intersex people from across the Commonwealth. It is a report, Kaleidoscope said, that shows how the Commonwealth, which claims to have human rights and democracy at its core, “continues to let down millions of its own people”. According to Purna Sen, former head of human rights at the Commonwealth, the issue of LGBT rights is the unaddressed “elephant in the room” at the heads of government meeting, taking place this week in Colombo. “You have to start from the experiences of those people living in these countries,” she told Channel 4 News. “And there are too many of them. Over half of the countries in the world that criminalise homosexuality are in the Commonwealth, and the testimonies in the report make for harrowing reading (see interactive map, top). Alex D V Hoffman, a transgender woman living in Barbados, described how people would take photos of her and post them online in order to “expose” her as a biological male. “On some of these posts, threats are made by persons, expressing intentions to shoot, burn or run me over with a vehicle if I were ever seen again,” she said. An anonymous contributor from Uganda described how he arranged to meet a man, but when he arrived the police were waiting for him – and demanded money from him. 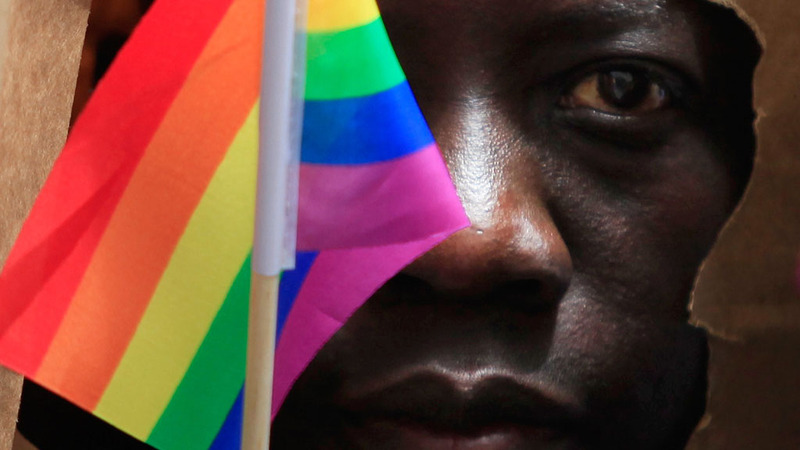 Uganda’s recent steps to extend the criminalisation of homosexuality, including introducing the death penalty for “serial offenders”, have “lifted the lid off the issue,” Ms Sen says. However, the issue is how to deal with LGBT at the heads of government meeting in Colombo. The host nation for this year’s summit, Sri Lanka, itself criminalises homosexuality, with sentences of up to 10 years in prison. But for Britain to address the issue is difficult. At the last heads of government meeting in Perth, Prime Minister David Cameron threatened to dock UK aid to nations that criminalise homosexuality. The approach was criticised by some charities as it could make members of the LGBT community targets, and contributed to the belief in some countries that homosexuality is a western export linked to aid. Ms Sen said: “It is very difficult for Britain because of its legacy of colonialism. Most of the legal provisions that criminalise homosexuality across the Commonwealth, originally come from Britain. She added that she would like to see David Cameron pushing the issue at the summit. “What is essential is for him is to say that we recognise that many people in the Commonwealth suffer harm, suffer persecution, and worse because of their sexual orientation. However, Ms Sen also warned that we should not expect anything radical from this summit.